“PUV” Combines spinning and weight training in a 75 minute combo class. The first 45 minutes are on the bike, a traditional calorie burning ride with high energy music, followed by 30 minutes of strength training. Get the benefits of a cardio AND weight workout in just 75 minutes. 45 minutes of heart racing, sweat breaking, body toning Spin. Followed by a 30 minute all body workout including barre, resistance bands, and TRX. We’re working on your abdominal, glutes, and upper body for a full body toning experience. 45 minutes of spin, followed by 30 minutes of flexibility training. Improve your endurance AND range of motion by combining the cardio benefits of Spin with intense stretching, foam rolling, and yoga poses while rocking out to an incredible music set. 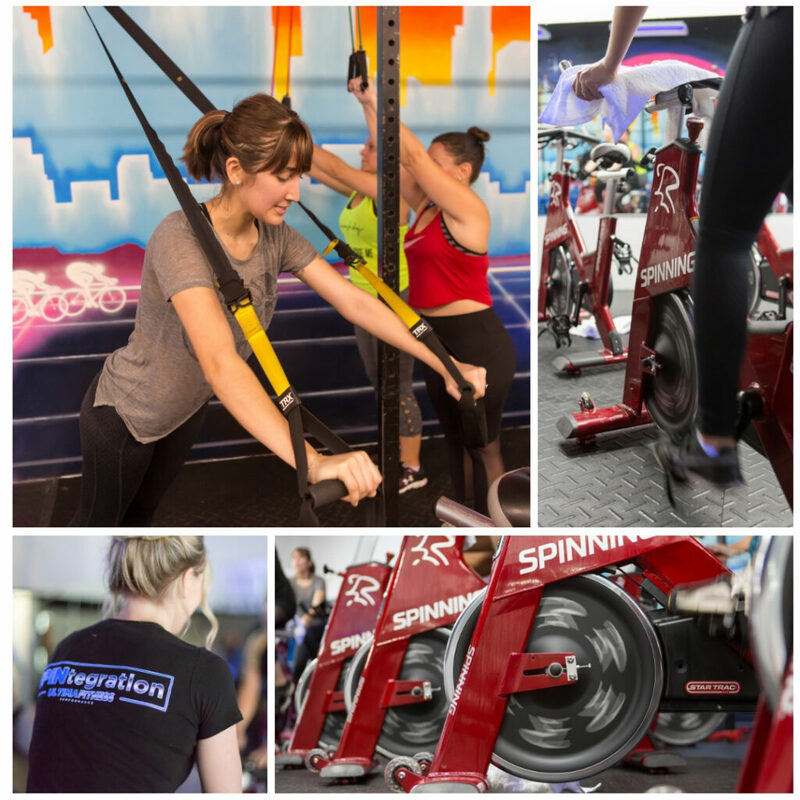 Our Express Spin class is everything you need for a lunch break workout in 45 minutes. You’ll get the benefits of an hour class by using intense interval cardio training on the bike. Now you have time to get your sweat on. This 60 minute Spin class brings you on a high intensity cycling journey ranging from hill climbs to sprints and everything in between. It’s a great way to burn fat and calories while increasing overall fitness.